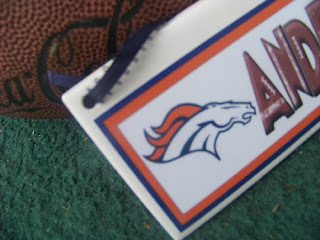 If you are having a football party soon, you may be looking for fun, unique, cheap party favors. I know as a mom I'm looking for party favors that are going to be useful and not be taken home and thrown out or sold in the next garage sale. You know that everyone LOVES to have their name on something. Sometimes it's hard to do that when you have a unique name or a name that's spelled differently. That's why our custom Name Plaques are the perfect answer to your party favor needs or gift giving wants for this holiday or birthday season! Our name plaques are made from a 3x6 inch ceramic tile so they will last a LONG time. Plaques have a permanent sticker on the front that can have any graphic or name you desire. 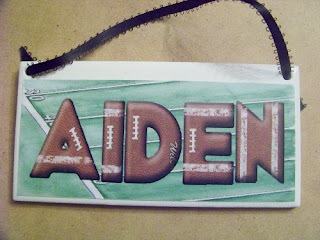 We make each name plate individually so that it will have the correct spelling no matter what your name! 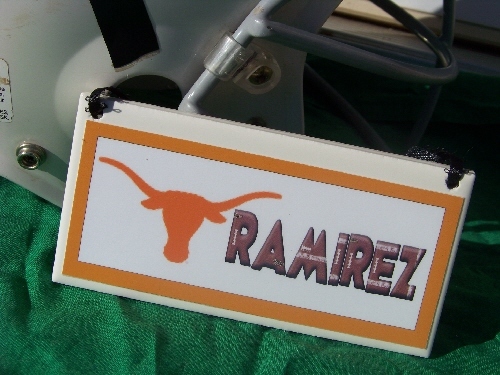 We also carry LOTS of different styles of name plaques. 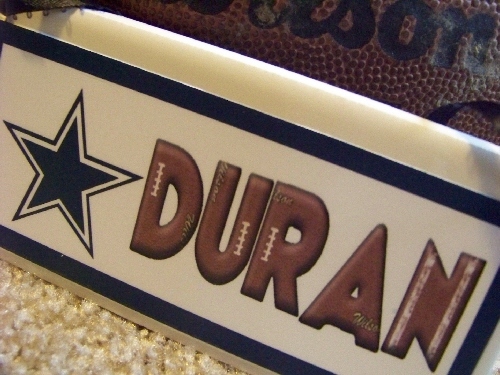 Our plaques can be found in many of your favorite characters, sports themes, or fun graphics. Plus many, many more! Since I know you are all thinking about Christmas gifts now, and I will be moving during the midst of the holiday season, I wanted to share with you a special coupon code for 25% off any Football Themed Name Plate in our online store. Coupon is good through the end of the month so come get your shopping done early! Don't see the style or team your looking for? Just drop me an email and I can design one at NO EXTRA charge!